Our team of dentists has the experience and expertise to safely remove your wisdom teeth without you experiencing discomfort or pain. And, depending on your requirements, we have a range of pain relief and sedation options for you to choose from. If you’ve recently had x-rays revealing that your wisdom teeth are causing problems, or if you are experiencing pain at the back of your jaw, it’s highly likely that we’ll need to remove your wisdom teeth. Not everyone needs their wisdom teeth removed, but many people around their late teens and early 20’s require wisdom tooth removal, which is now considered a mainstream procedure. As our jaws have slowly become smaller, our wisdom teeth (aka third molars) have trouble pushing through the gums. If not removed, they can get stuck behind the teeth in front of them and become wedged or “impacted”. Either soft tissue (the gums) or hard tissue (bone) can become implacted. Approximately a hundred million years ago, when we were cavemen, we relied on our teeth for chewing. Consequently, by the time our wisdom teeth arrived, our back teeth had worn away, so our wisdom teeth caused no problems. We can remove wisdom teeth either in the dentist chair at Oxford Street Dental, under local anaesthetic or twilight sedation – or in hospital under general anaesthetic. Your dentist will discuss the options with you to help decide which method is best for you – and that makes you feel the most comfortable. Also known as your third molars, your wisdom teeth are the last of your adult teeth to erupt. If your jaw had space for them, they would be as normal and useful as the rest of your teeth. However, many of us don’t have space, and consequently, problems occur, so removal is necessary. At what age do wisdom teeth usually appear? Most people’s wisdom teeth start to erupt (push through the gums) from the ages of 18 to 25. Where are my wisdom teeth? Most people have four wisdom teeth – two in the upper jaw (one left and right) and two in the lower jaw (ditto) at the back of the mouth. 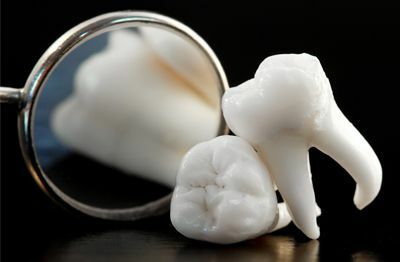 How can I relieve wisdom teeth pain? Your wisdom tooth pain can be temporarily relieved through pain medication. However, this is only short-term relief. If you are experiencing wisdom teeth pain, it usually means they must be removed as soon as possible. How long does it take to recover from wisdom tooth surgery? Recovery from wisdom tooth surgery takes from three days to up to a week or more, depending on how invasive your surgery has been. What is best for removal – going to hospital or in-chair? One wisdom tooth extraction procedure is not better than the other. It depends on what type of surgery you require, and also your personal preference for pain relief and anaesthesia. These issues are best discussed in person with your dentist. Can I wait and see before I get my wisdom teeth out? If you’ve been told that you need to have your wisdom teeth removed, generally speaking, it’s recommended that you do this sooner rather than later. After the age of 18, the bone around the teeth becomes denser, making removal more difficult. Also, the risk of tooth impaction or infection increases as time passes. The cost of wisdom teeth removal varies, depending on the type of surgery you require. Your dentist will discuss the surgery you require and provide you with all item numbers on costs before your procedure. Contact us today to book your wisdom tooth removal appointment at our practice conveniently located right in the heart of Leederville.